You find yourself in a cabin. There doesn’t seem to be a way out, or is there? Find the keys and follow the clues. 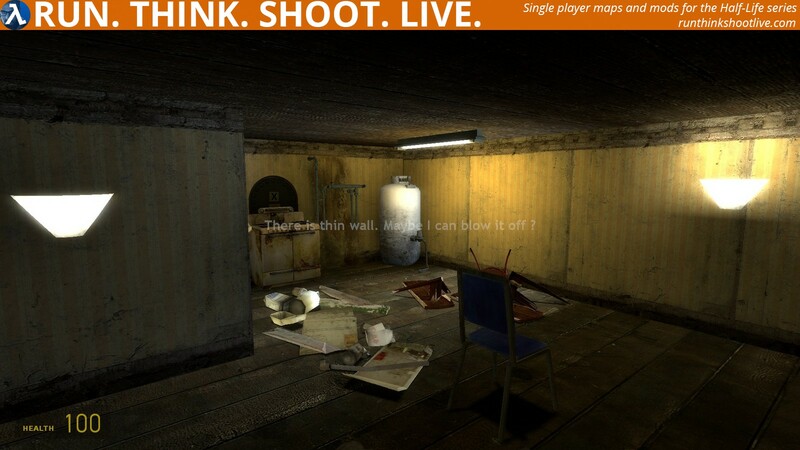 Although this map release is listed as requiring Half-Life 2: Episode Two it actually requires Half-Life 2 and both episodes, although I currently only have Ep2 installed and it worked for me. 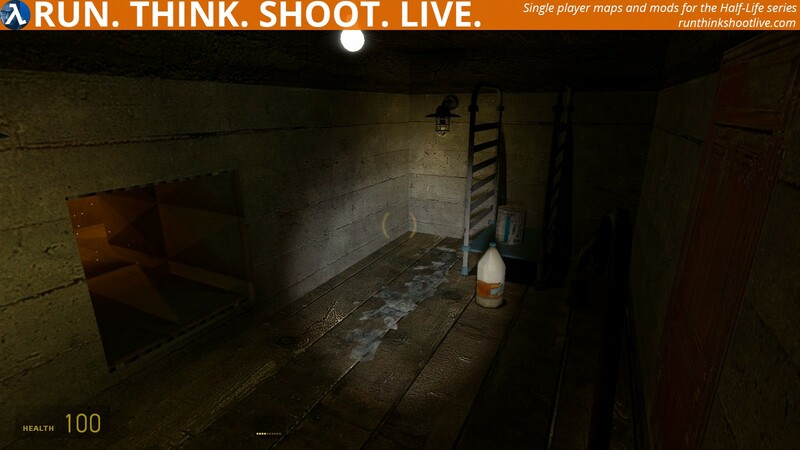 Copy Cabin_new_02_d.bsp into your …\Steam\SteamApps\common\Half-Life 2\ep2\maps\ folder. Open the console and type map Cabin_new_02_d and now press ENTER. I was sent this and made some suggested changes. This is the second version. Personally, I didn’t enjoy this very much, mainly for the style and implementation. Firstly, finding keys and using them to open doors is not much fun. Especially when the screen text says “I found a key” etc. It’s also really annoying having to drop the key to open a door to go to another place to see if it fits. I took ages to get the key to work in most doors – yes, there are multiple keys. The technical aspect of the map might be quite well done, although I thought the lighting was too bright in some areas, the actual gameplay and “fun” I had was limited. 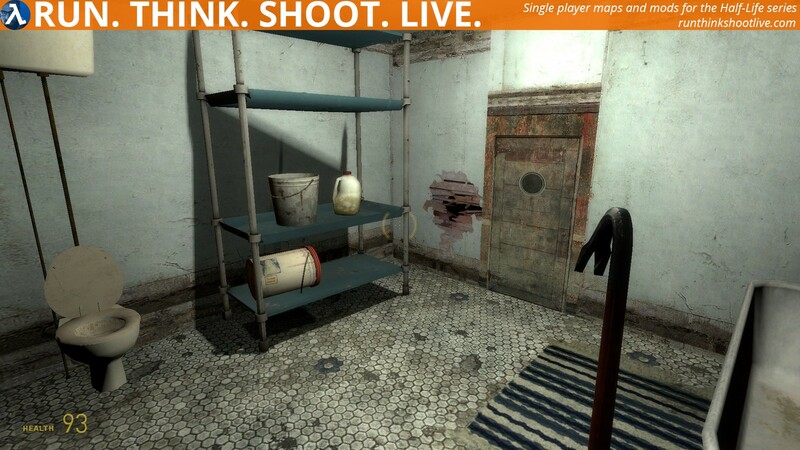 I really don’t understand why people make maps that require HL2 and both episodes – not everybody has them. I respect every author right to make a mod in the style that they enjoy, but in this case, I didn’t share that enjoyment. I got stuck at the end because I couldn’t seem to find a way out. I recommend you consider playing this only if you enjoy adventure-style mods. For a first map it’s not terrible but the author needs to learn very quickly what is fun and what isn’t. 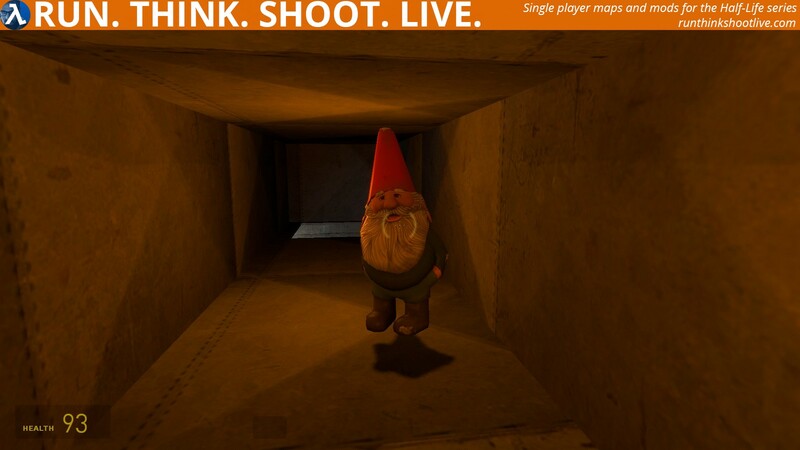 SPOILER: Put the gnome in the blue chair in the room with the gas. Go back through the vent to the room with the gas valve and the switch. Switch it on, the gas is now escaping in the room. Stand a long way back and shoot the gas. How is anybody supposed to figure that out? It was in the dialogue, maybe you missed it. Not a masterpiece but it’s an ok 10 minutes of your time. The key mechanism is a bit clunky – you have to carry them everywhere which is kind of annoying. Also the doors are really small and I felt like they were out of proportion with the player’s height. If you pay attention to the hints that the author used in the map this really isn’t that hard. A nice little Cottage of a puzzle. That said the final puzzle is a little puzzling. Press the button and find your friend? What friend? Friend found and placed where he can watch. The clue is there but I missed it too! The clues are given in plain English but like most I just glanced past them and suffered running out of bullets before I saw the gas I had to shoot with my crowbar!!! A little extra ammo around the cottage would have been nice. Overall for a first map it was entertaining, even if the climb out from the lower chamber using the barrel did prove a wee bit frustrating at times. Short but fun and graphically perfect except for those , oh so bright blooming windows! 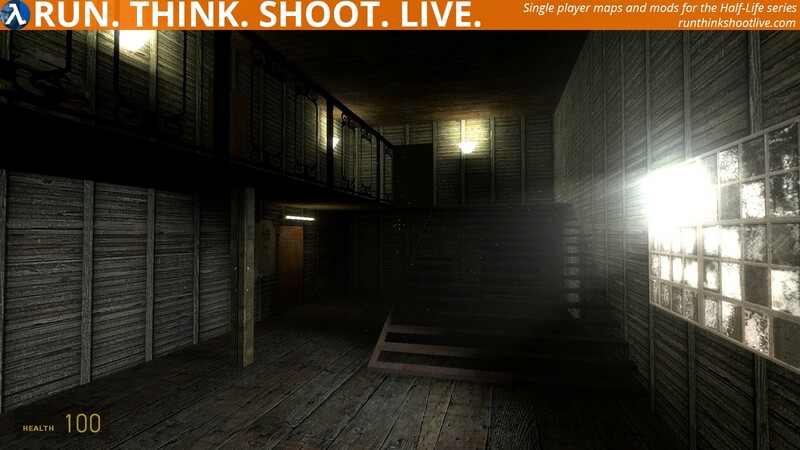 A first map? Not bad! But it was a little odd in the lighting dept with some overly dark/light areas. I also got sick of carrying keys/opening doors after a while and sometimes getting the key to work was hit n miss. Shame there wasn’t a couple more zombies but I managed to escape the house so I did well. Ha. Some frustrating mechanics but not a bad map at all. It was just Ok. made me have to double back a lot to get through the puzzle to get out. I’d like to see where it continues after blasting through the wall. Keep going with the development of this project. Visually, this map wasn’t great. Proportions of rooms, doorways, and vents were strange, textures were misaligned, and lighting was very inconsistent. I generally enjoy this style of puzzle/adventure map as a break from more combat-heavy maps. This one would have worked better without the intrusive dialogue whenever you picked up an item of note – but then again, many of the puzzles would have been unsolvable without the hints provided by the dialogue. There was a basement area where, unless I missed something obvious, the only way out is an atrocious jumping puzzle, where you must balance a barrel on top of a box to reach a vent. If you like puzzlers, I’d say this is worth 10/15 minutes of your time. For a first map, I guess you have done it actually pretty okay. But Visually you have to improve because the Doorways are small. The Key Mechanic involved in this map is a bit, how should i put it, a bit weird with holding it and walking around trying to find the right door for it. For some might find it annoying. The only great part about the map was Gameplay. 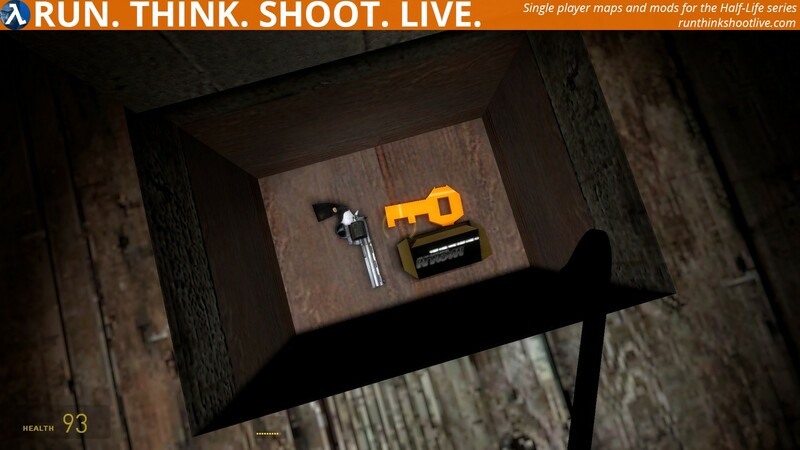 By Gameplay I mean the Puzzling, the map gives you clues (except for the some keys because the quote “I found a key” appears for them) that help you to find your way through the map. This Map is worth your time if you like puzzels. This map isn’t terrible, but it’s not one of the best I’ve played either. It’s definitely a well-done first map, and I like the concept of adventure maps and/or trying to find your way out. The mapping is pretty basic but there were some expected problems, like the doors being too low, and some areas being simply claustrophobic. 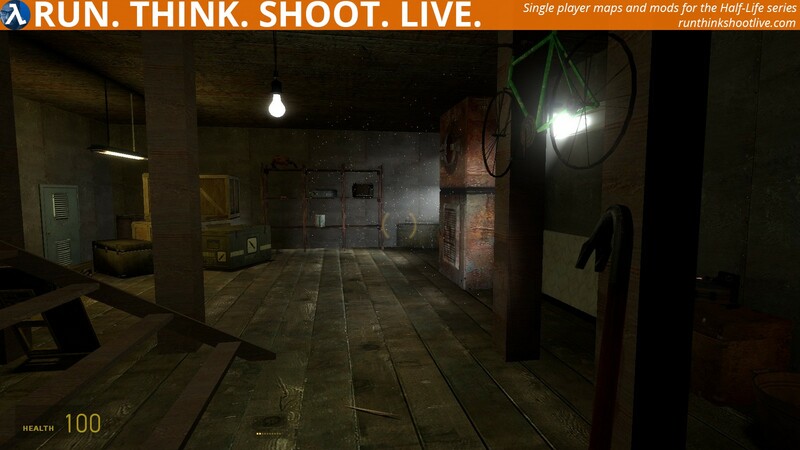 There isn’t any real combat in this map, but the adventure element – the main focus of this map – isn’t that bad. Overall, I’d say it’s a nice way to spend 10 minutes or so if you don’t have anything else to do. For a first map, this is not so bad. What I did notice are some textures in the vent that were all over the place, and some props that were not aligned to the wall and just stopped in mid-air. This is such a find-this-to-do-that adventure map. It does the adventure part quite well. The find-this-to-do-that mechanic can sometimes be a little weird, I was at times quite confused as to what to do next. As for the keys, they work… meh. When I found the first key I mashed it in every single door I could find, only to find out that you have to put the key on a specific place on the door. Would’ve been better if you could just put the key anywhere on the door and it would open. Overall I would say this is an ok map to lose 10-20 minutes in.